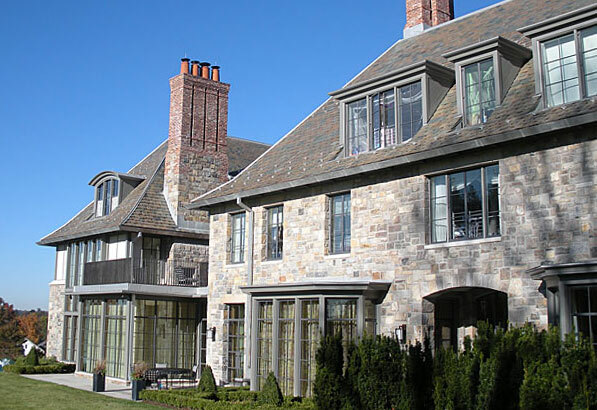 Many residences like this Southern Connecticut mansion are found along the east coast. The coastal states’ exposure to the ocean and weather along with proximity to cities, resulted in many strong and elegant stone structures. 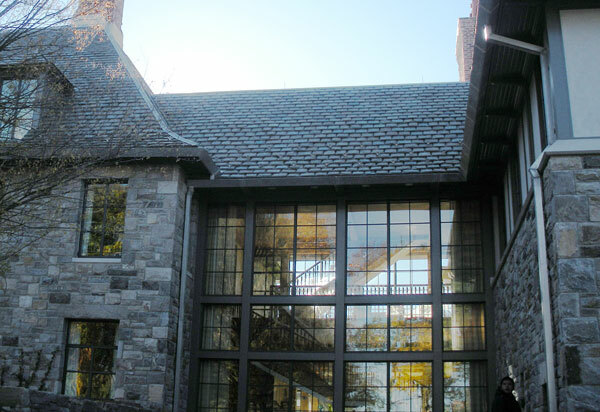 Stone roofs just make sense. 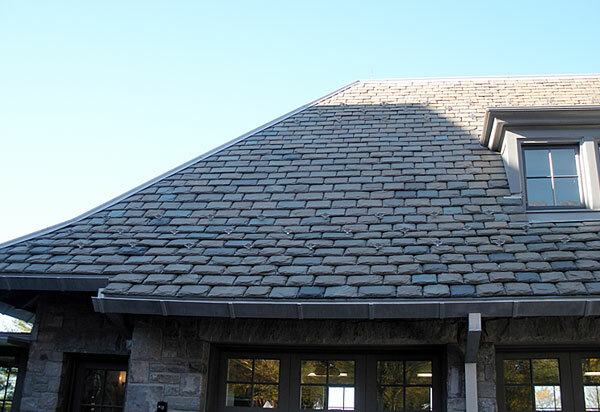 This roof uses Greenstone Slate Semi-weathering Gray / Green.